Whilst we are not expecting to see the new iPhone 6S and 6S Plus until much later in the year, we have already started to hear a number of rumors about Apple’s 2015 smartphones. The other day we heard that the new iPhone 6S smartphones would come with a new dual lens camera, and now according to a recent report the handsets will features 2GB of RAM. 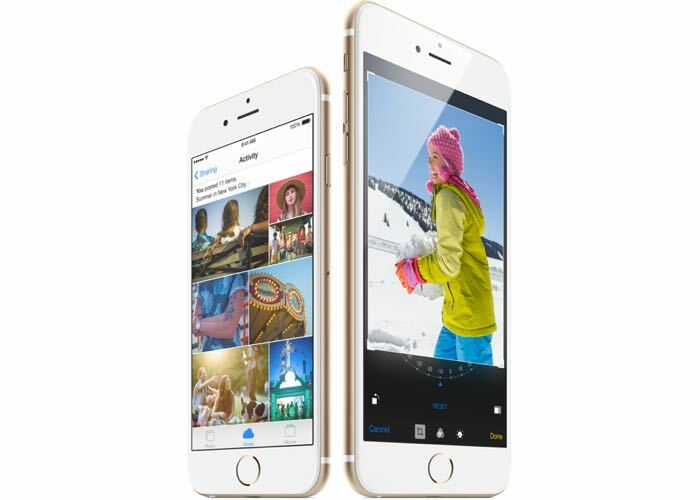 The iPhone 6 and 6 Plus come with 1GB of LPDDR3 RAM and according to a recent report, the new iPhone 6S and 6S Plus will come with 2GB of LPDDR4 RAM. These new RAM modules for the next generation iPhones will apparently be produced by Samsung, Hynix and Micron-Elipda. Samsung is also expected to build a number of other components for the 2015 iPhone and iPads, and the company is apparently producing the new Apple A9 processor for Apple. Considering that the new iPhone 6 and iPhone 6 Plus only launch back in September, we are not expecting to see these new models until September 2015, both handsets are expected to come with the same design as the current models.